A non-hormonal ayurvedic formulation that is used to increase the fertility of women. It stimulates and establishes normal menstrual cycles and physiological and timely ovulation without hyper-stimulation of the ovaries. 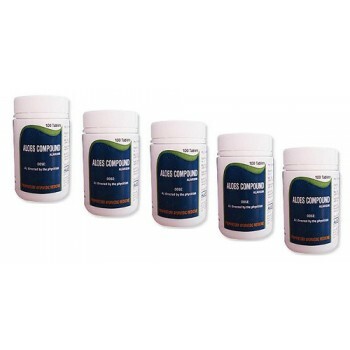 It ensures proper quality and quantity of cervical mucus to facilitate better for­ward movement of sperms and enhances the receptivity for conception. 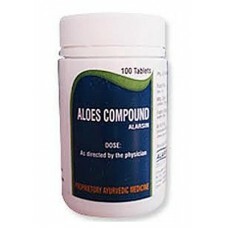 Aloes Compound is also useful for women with irregular and scanty menses, amenorrhoea or delayed menarche. It is convenient and safe especially for young women and has been in clinical use for menstrual disorders for centuries all over the world. 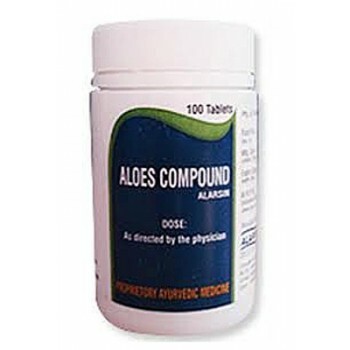 Aloes Compound improves the overall health of women and it helps to counter the side effects after discontinuation of contraceptive pills. Female Infertility: (When menstrual pattern and quantity of flow are normal, to induce normal ovulatory cycles & to improve fertility)2 tablets twice a day, starting from 1st day of menstrual cycle to the 14th day of the cycle. To be repeated every cycle until pregnancy is confirmed. Maharishi Ayurveda - Restone 100 Tablets A balanced formula of Ayurvedic Herbal Rasayanas espec..
Himalaya Herbals - Evecare A proprietary ayurvedic formulation that is designed to assist a nor..
Himalaya Herbals - Shatavari 60 Tablets A pure herb used in Ayurveda for thousands of years as ..